Mega Sale! Free Shipping Included! 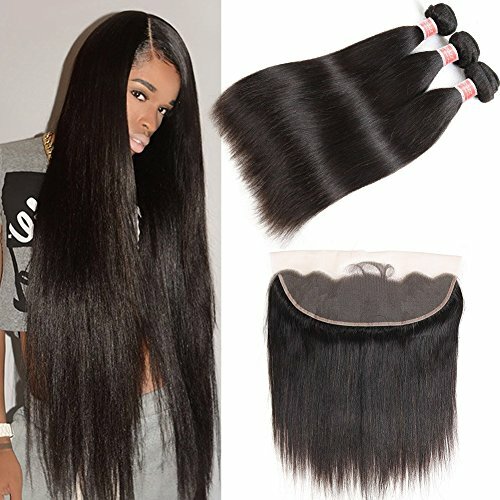 Save 24% on the Pizazz 8A Brazilian Straight Hair 16 18 20 and 14 inch Lace Frontal Closure with Bundles Natural Black Straight Human Hair Weave 3 Bundles With Closure by Pizazz at Beauty Sols. MPN: Pizazz00000124. Hurry! Limited time offer. Offer valid only while supplies last. If you have any questions about this product by Pizazz, contact us by completing and submitting the form below. If you are looking for a specif part number, please include it with your message.